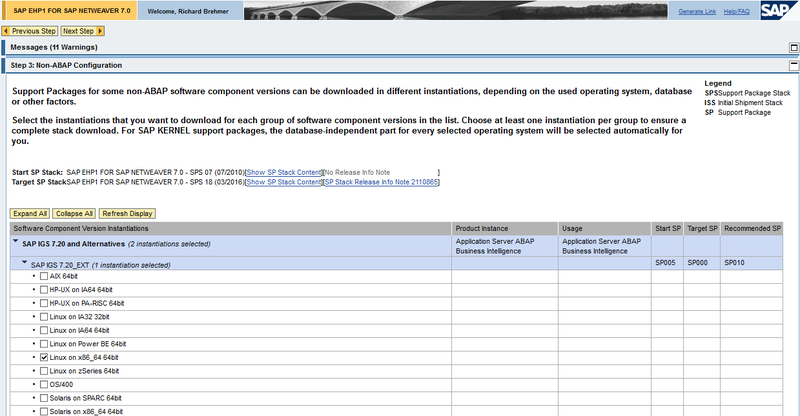 In this example, we going to update all of the support packages installed of a Netweaver, to the latest version. 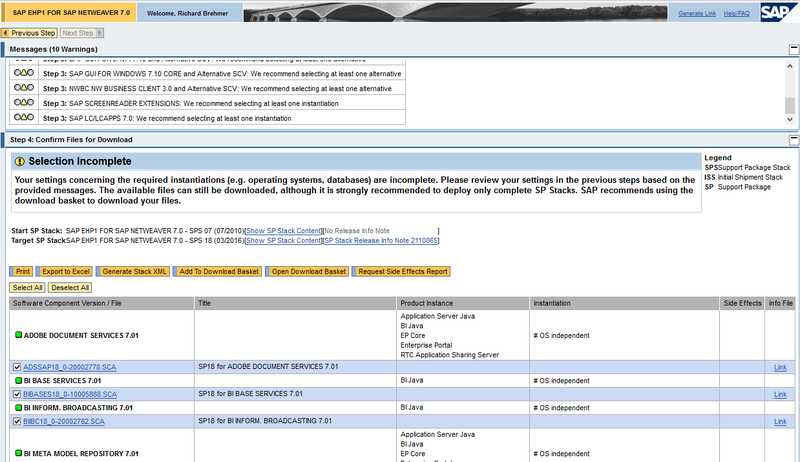 to see this information: Go to System -> Status -> Component Information or SPAM TCODE. 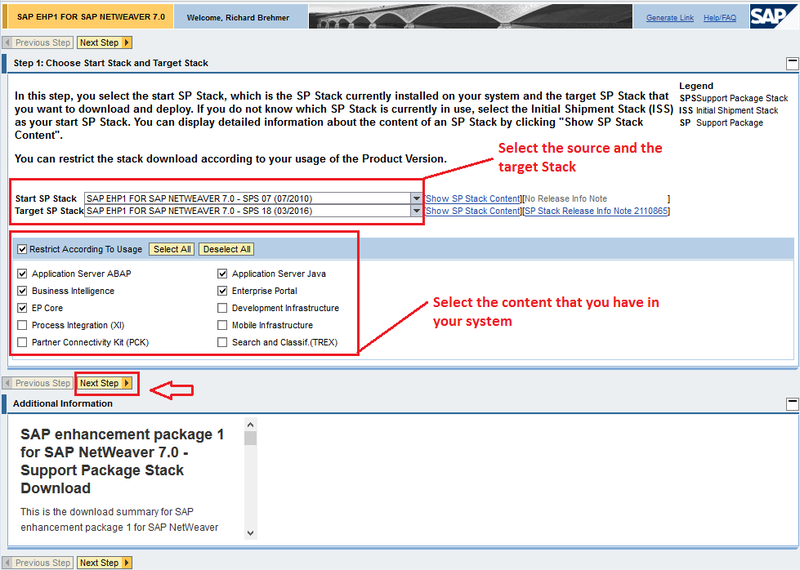 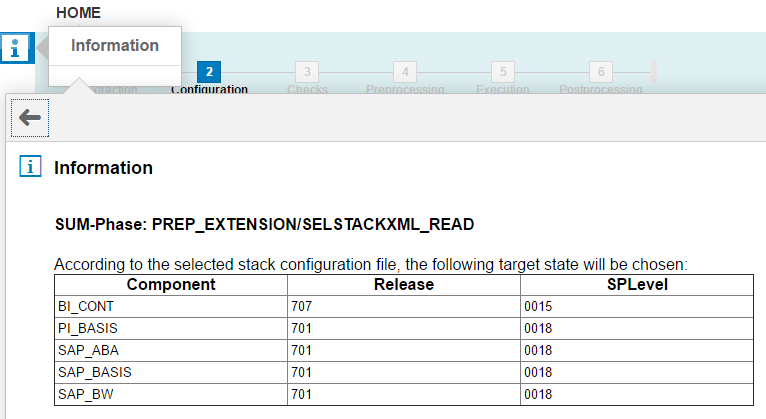 To download, you need to identify you actual stack version that we can see through the Software Component SAP_BASIS, SPS 7 in this case. 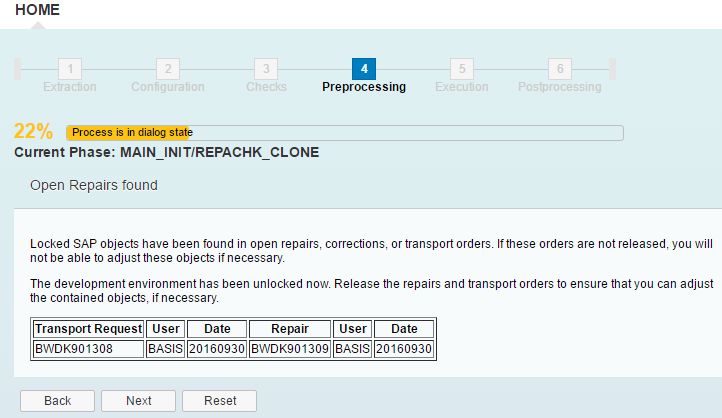 Now we need to specify some current versions for our system. 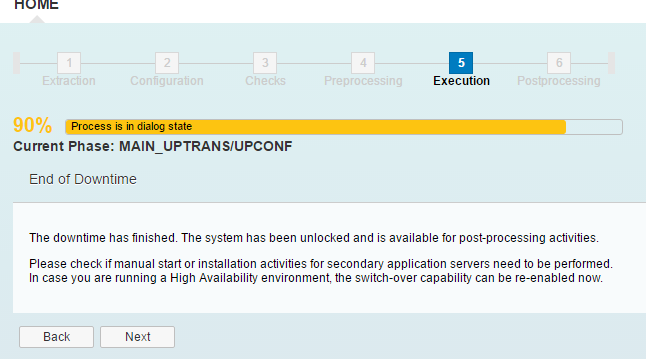 We can do that comparing on SYSTEM -> STATUS. 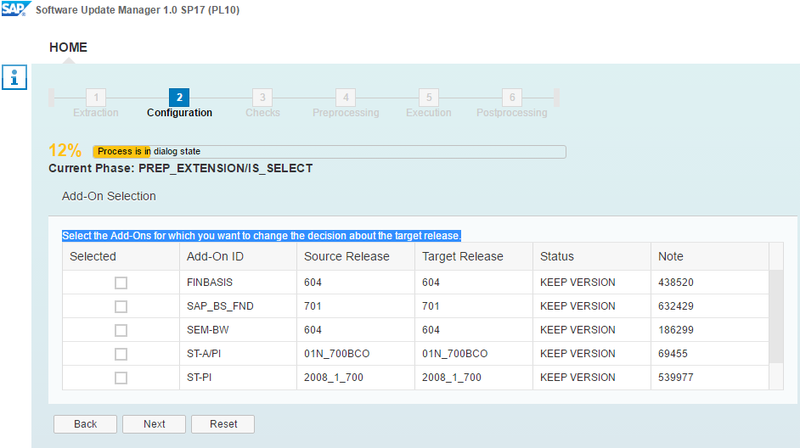 Next, following the instructions on the screen, we should select the instantiations that we want to download for each group of software component versions in the list. 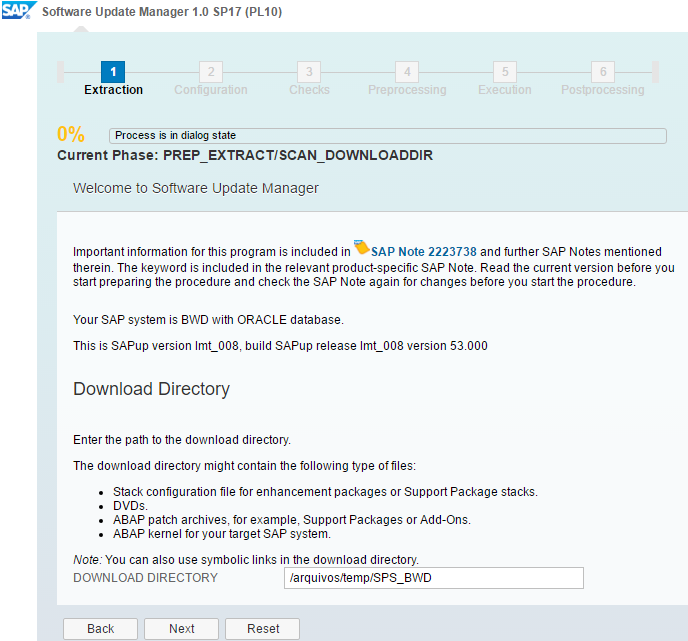 Next screen show us a resume of what we will download, and some alerts from some stuff that we did not select on last screen (some GUI stuff, we do not actually need it). 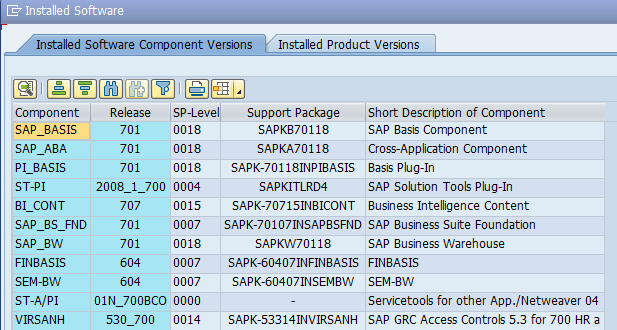 Necessary to update the SAPHOSTAGENT. 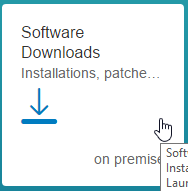 Update it. 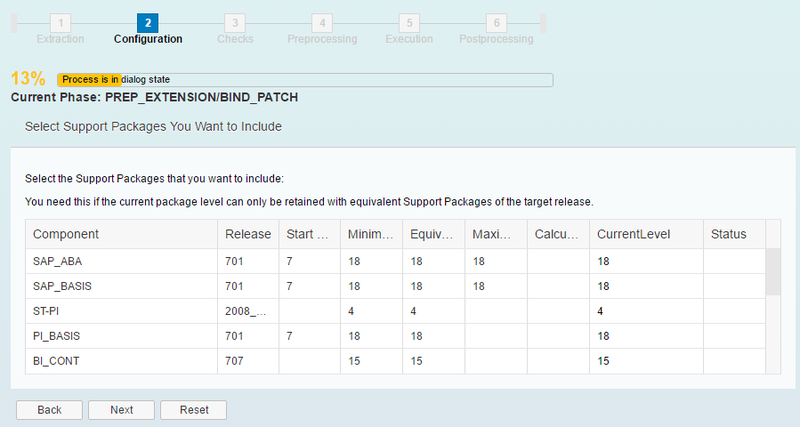 **** The passed SID parameter is: BWD. 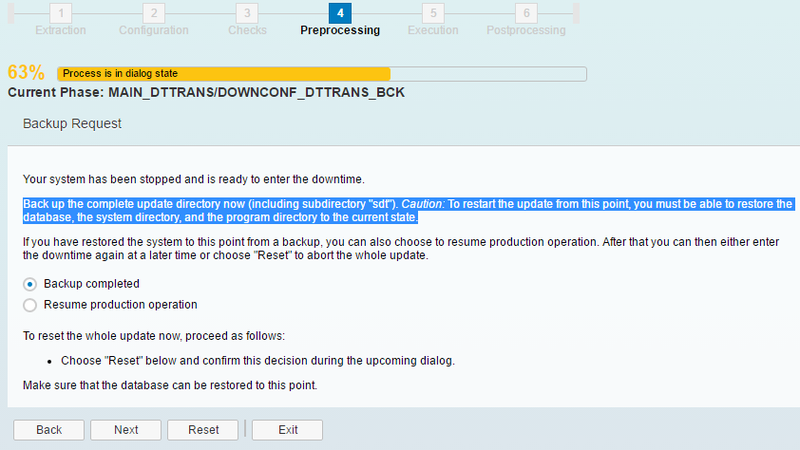 Based on it SUM is not extracted under SID directory. 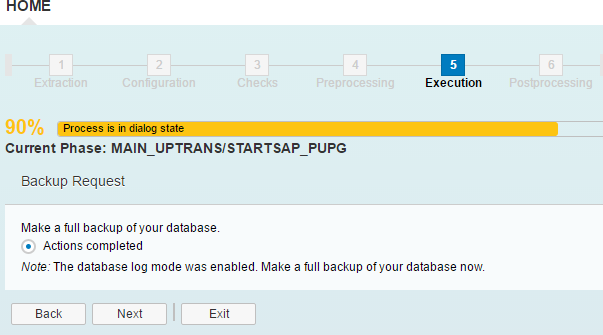 In the dialog box that appears, enter the user name <sid>adm and the password. 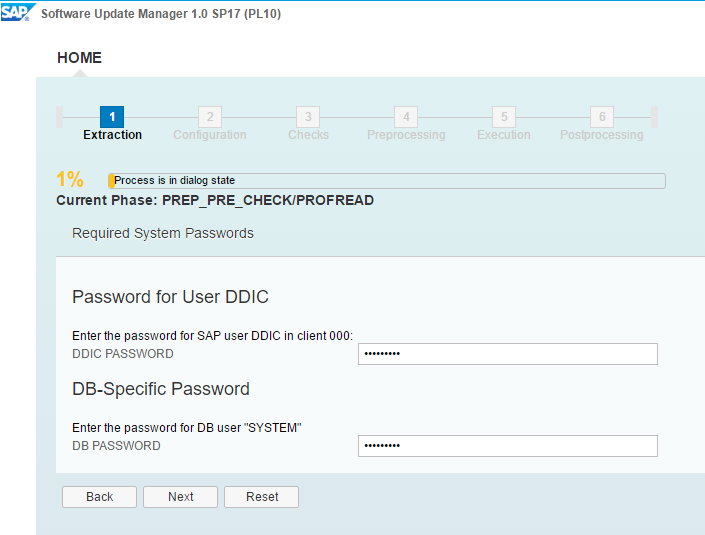 Enter the passwords for DDIC and SYSTEM (DB). 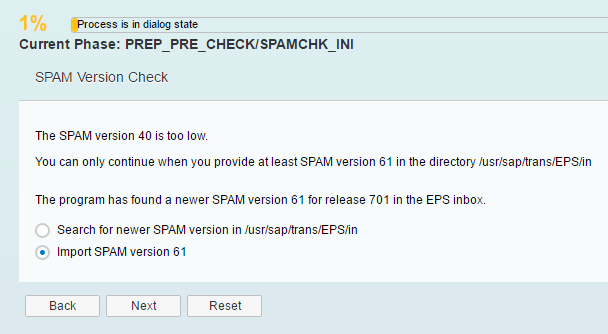 Issue: SPAM version is too low! 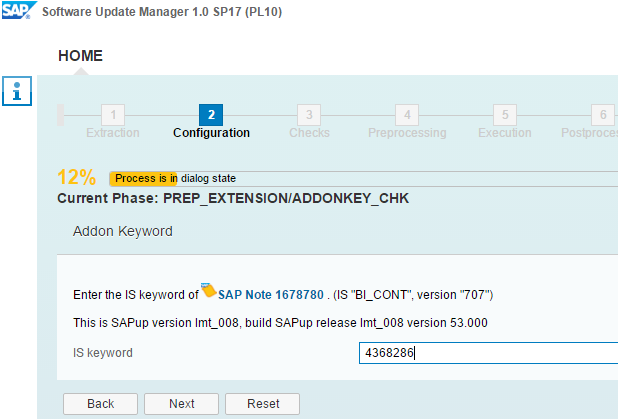 – Downlaod and unpack the last SPAM SAINT version for the NW. 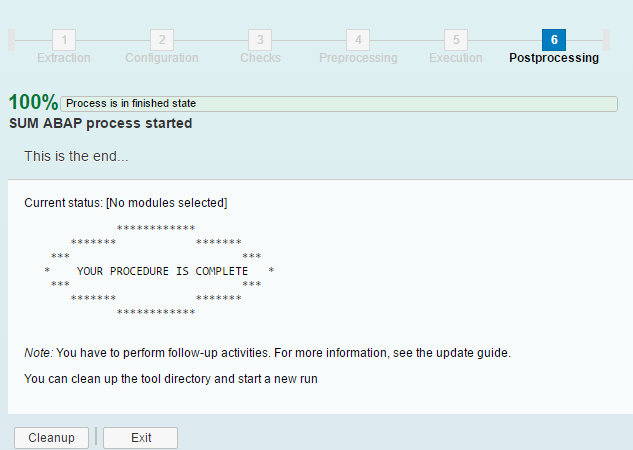 Enter the Directory where we downloaded the files. 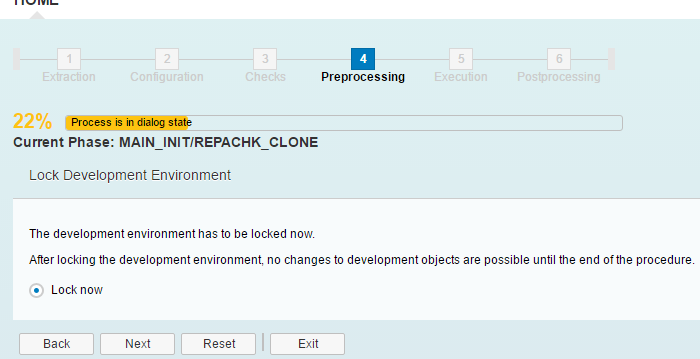 Release the objects through SE09. 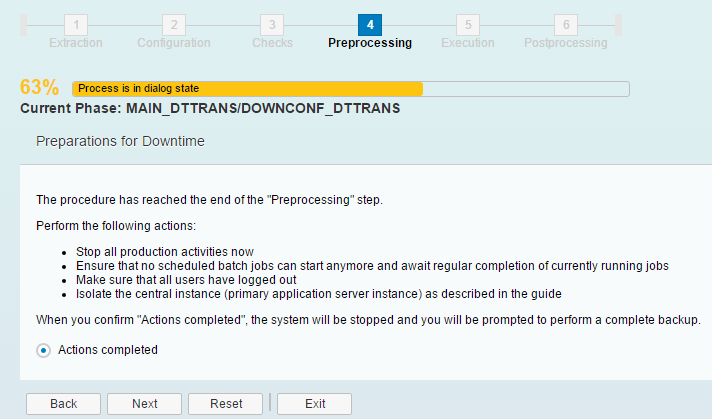 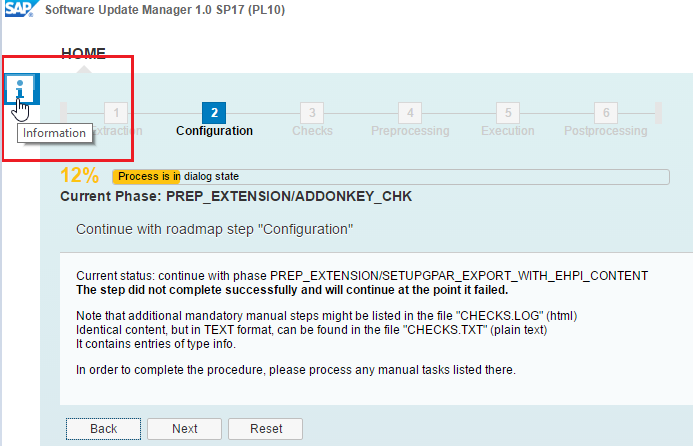 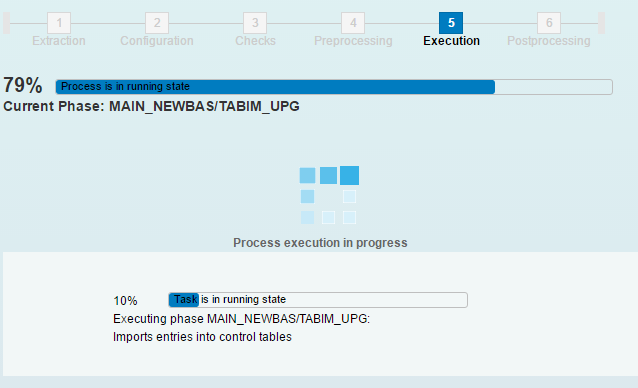 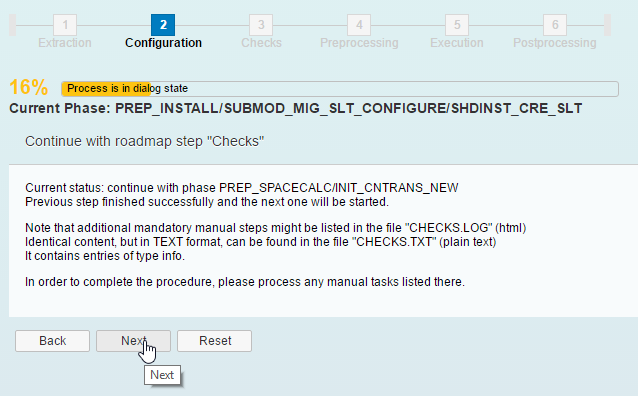 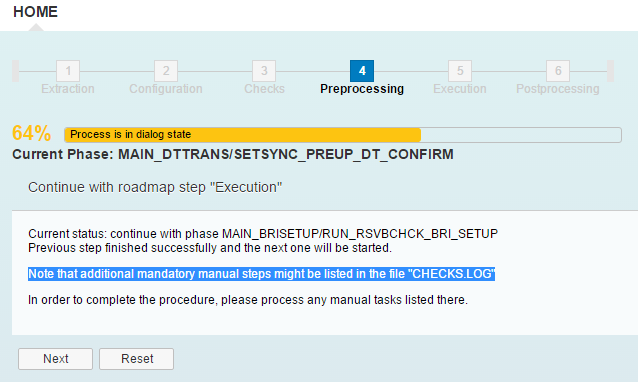 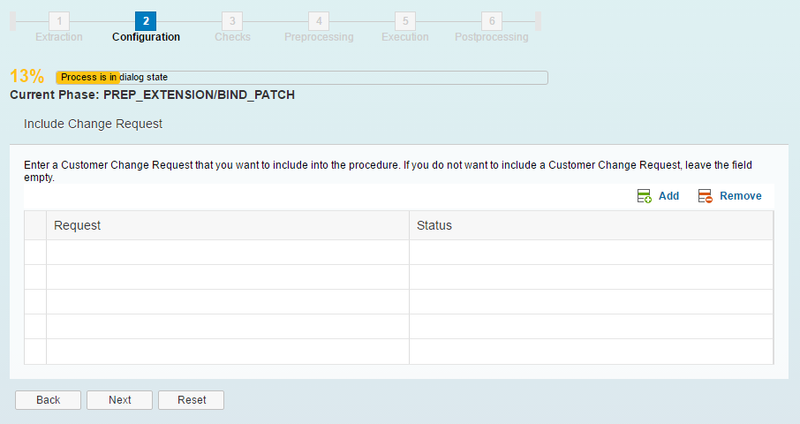 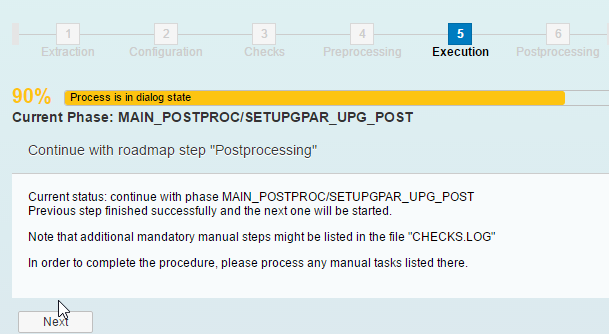 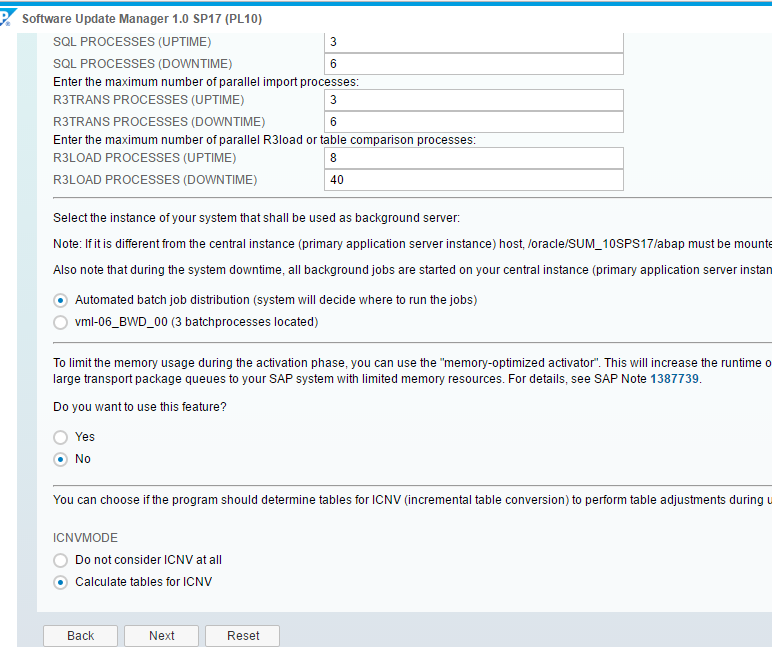 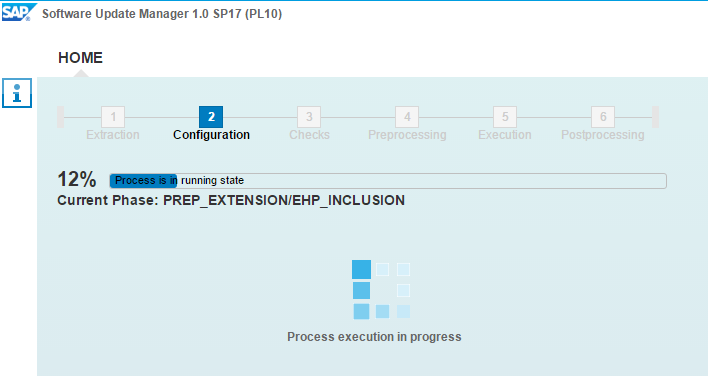 Read the SAP Documentation for followup activities.